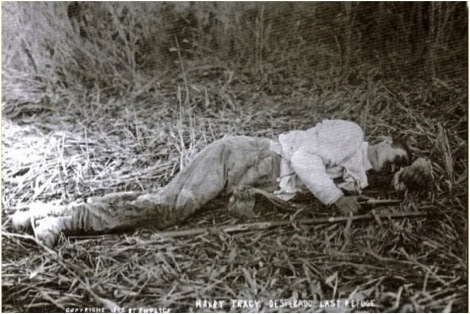 With the flash of a gun Harry Tracy the Infamous Outlaw lay dead by his own hand in a field in Lincoln County. After months on the run from authorities throughout Oregon and Washington, the law caught up with Tracy in a lonely spot amidst the wheat. 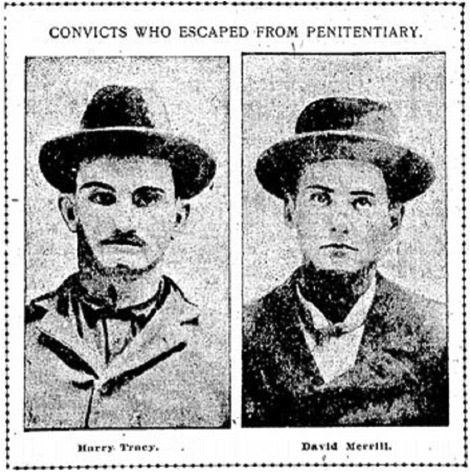 Two Creston men caught up to the fugitive and mortally wounded him, but Tracy made his way to a field near a rock when he decided that he was not going back to prison and took his own life. It was there on August 6th, 1902 that the Last Desperado died. 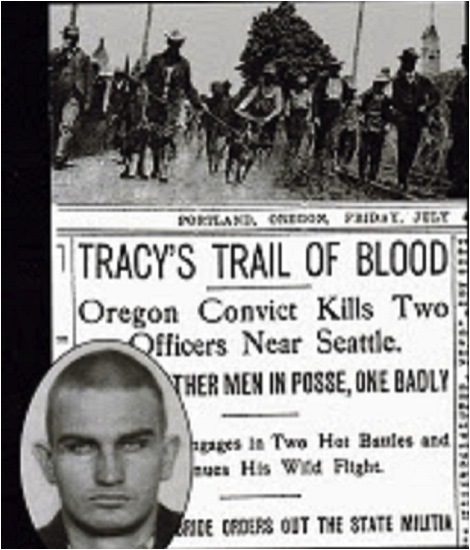 Harry Tracy was born Harry Severs in 1875 in Wisconsin and started off life in the time honored profession of farming but soon ran away to become an outlaw. He started out pulling small time heists in Colorado and Utah until he was sent to jail in 1897. Not unlike other felons of the time he broke out of jail. ""I'm Tracy" he would say, "I don't want to hurt anybody but those who get in my way, but when I say put your hands up, put them up." He was next spotted in Salem, Oregon where he and a partner went on a stick-up spree. Again he was apprehended and sent to Oregon State Penitentiary for twenty years. Once again Tracy joined forces with an accomplice and broke free. They grabbed two Winchester riffles and killed the three guards that stood between them and freedom. In Chehalis, Washington they parted ways when Tracy put a slug in his partners back permanently ending any chance of reconciliation. This started the largest man hunt of the era. Tracy was on the lamb for fifty-eight days by the time he got to a small farm house outside of Creston, Washington. Lou and Gene Eddy, owners of the farm, allowed Tracy to stay as long as he helped build a barn; it was there the law caught up to him. Tracy was out working in the Eddy's wheat field when lawmen and town peoples surrounded him. Wounded in the thigh and bleeding profusely, Tracy stumbled away and hid in the field next to a large rock; it was there he decided to end his life when he realized he would not make it out alive. 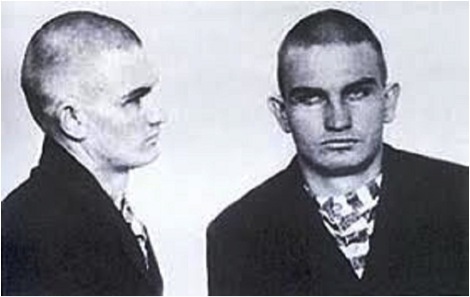 In the years since his death, Harry Tracy has been called "The Last Desperado." He was the topic of many dime novels as well as plays and a 1982 movie "Harry Tracy, Desperado." No one will ever know just how many people died at the Tracy's hands. 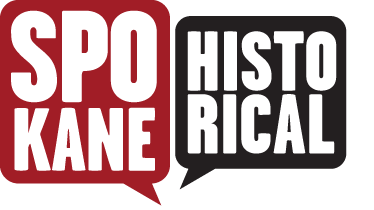 Rebeka Smithson, “Harry Tracy the Outlaw,” Spokane Historical, accessed April 24, 2019, https://spokanehistorical.org/items/show/321.